Watch out, world. Here comes Stephanie Plum, a bounty hunter with attitude in the bestselling debut mystery that earned Janet Evanovich nominations for the Edgar, Anthony, Agatha, Shamus, and Macavity awards. She's a product of the 'burg,' a blue-collar pocket of Trenton where houses are attached and narrow, cars are American, windows are clean, and (God forbid you should be late) dinner is served at six. The book starts out a little slow being that the character is just getting started with her career as a skip tracer. But by the end of the book it finished well and the stage was set well for the next episode. It has potential to be a good series. These books are not long to begin with. Abridging them makes no sense at all. I have deleted all of the deleted series books from my rental list. You might as well just read the jacket blurbs. Didn't like the reader at all. Also, it was abridged and I felt like I was missing a lot. 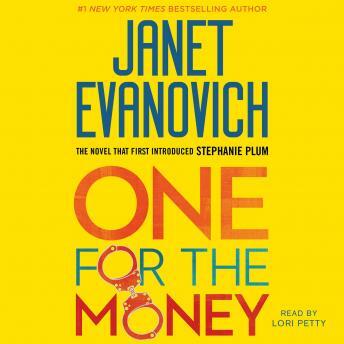 This was the second of Janets books that I have listened to. It was enjoyable and entertaining. Helped the miles go by on a long drive. I now understand how Stephanie became a skip tracer and better understand the relationship between the other characters in the book. Look forward to listening to more of the books.